Back in the late 1800's or early 1900's, about a hundred years ago, two little boys, brothers, were growing up on a farm in the boothills of Southern Illinois. Tom was 8 years old, and his brother John was nine. It was a beautiful Saturday afternoon in the fall of the year, and the boys had asked permission to go fishing. Their Ma had told them they could go, provided they promised to be home well before dark. The boys needed time to get their chores done before the family sat down to eat their supper. 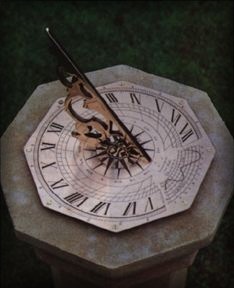 Neither Tom nor John had a watch (kids didn't own their own watches back then, you know), but fortunately, their parents had taught them how to look up in the sky, see where the sun was at the moment, and tell time that way. The boys knew the sun generally came up in the East around six AM, went down in the Western sky around six PM. When the sun was directly overhead, it was around 12 noon, the hottest part of the day. A good time to sit in the shade and have lunch. The sun was slowly sinking behind the hills as the boys gathered up their bamboo fishing poles and the battered tin can that held the worms they'd been using for bait. Since the sun was nearing the horizon (the place in the distance where the sky and the earth seem to touch) they knew it was getting very late. They should have left for home by four o'clock, but by the looks of the sun it was already very close to six. Since they were late, instead of heading back to the dirt road, which is the way they had come to the lake, they got it into their heads that they might get home quicker if they cut through Old Man Hatcher's woods. They figured they'd be through the woods and into the meadow that backed up to their their own house before it got completely dark. The boys knew old man Hatcher was in the habit of letting his dogs loose at sundown to keep bears and bobcats away from his livestock. The dogs had a tendency to bite though, so the boys liked to stay clear of them. As the boys headed into the woods, instead of hurrying, they began to lose track of time again. They meandered here and there, stopping to look more closely at some of the things they passed along the way. Before they knew it, sunset had turned to dusk. What little light there was left quickly began to dim and fade. There they were, still smack in the middle of Old Man Hatcher's woods. In the space of a few seconds, it was nearly pitch dark. Off in the distance, the boys could hear Old Man Hatcher's dogs howling. The boys began to get worried. They couldn't see which way to go. Tommy started whimpering, and although John tried to comfort his younger brother, with every howl from that pack of dogs, Tommy found himself getting closer to crying real tears. Nine year old John was also getting awfully worried. With the rapid onset of dark, crickets began chirping, frogs began croaking, and the night took on a whole different feeling. The woods didn't feel like such a friendly place anymore. The boys were very lost. Old Man Hatcher's dogs began howling again and in the distance, you could hear them thrashing about through the bushes. The boys knew they weren't safe there on the ground in the middle of the woods, where more than Old Man Hatcher's dogs prowled at night. In the moonlight, John could make out a big old tree that reminded him of one in their own apple orchard, and he suggested to his little brother that they might be safer if they climbed it. Tommy didn't need much convincing. The boys dropped their fishing poles and the tin can of worms in a heap at the base of the tree. John first gave his little brother a boost up, and then quickly swung up on a limb behind him. The two boys quickly shinnied up branch after branch, trying to get as high as they could off the ground. They heard the dogs again. Not only was it as dark as could be, a chilling fog was beginning to roll in. From their vantage point in the tree they watched as the moon and stars began to disappear from view. 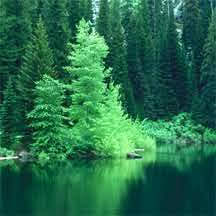 The boys sat on branches, clinging tightly to the tree trunk. They were tired, cold, hungry and scared. Although they tried to keep a stiff upper lip, in reality, by now the both of them were trying hard not to cry. They sat there, listening to the cracks and thumps and howls and bushes rustling in the night. Every once in a while they saw the glow of eyes peering at them from the depths of the forest. The boys longed to be safe at home. Tommy yawned and John sighed heavily, and the two of them shivvered in the cold night air. What was it? It sounded so clear. "Who-o-o-o?! Who-o-o-o?!" There it was again, somebody must be out there, calling to them, wanting to know who they were. Maybe it was old man Hatcher. Maybe that was a good sign, maybe it wasn't. They weren't supposed to be in his woods without permission, but when the voice came again, asking "Whoooooo? ", both boys responded simultaneously, calling back: "Tom and John, Pa's boys". At first their reply was low and hesitant. "Who-o-o-o???!!" the mysterious voice asked again. Again, only this time a little louder, the boys responded..
"Tom and John, Pa's boys." Meanwhile, when her boys didn't show up back at the farm to do their chores on time, Ma hollered and hollered and was surprised when the boys didn't answer. Clanging on the supper gong hadn't brought them running either. Nighttime out in the country wasn't particularly safe for kids, not even for boys as old as 8 and 9. Even a grown-up would be no match for a hungry bear, and Ma knew it. She gathered up her long skirts so she wouldn't trip, and raced down to the barn to find the boy's Pa to ask if he'd seen them. Pa had just finished milking the cow, and he glanced up in surprise to find a look of real concern on his wife's face. He reached for the metal handle to set the brimming bucket of milk aside, then swung his long legs around sideways on the short wooden milking stool and rose to his feet. Pa leaned over again, grabbed the stool, then winced slightly, one hand on his back, as he straightened up. 3 leg milking stool, Walnut, circa 1800's, 12"H x 11½" seat diam. Ma quickly explained that the boys had not returned home from their Saturday fishing expedition. 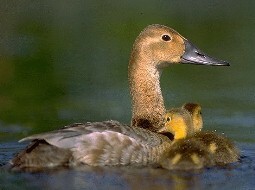 She was beginning to get frantic - it was not like her boys to fail to be home on time, and Pa knew it too. He tried to comfort his wife, by reminding her that he'd taught the boys how to take good care of themselves. They were both good scouts and campers, he told her. But he too was beginning to worry. Growing boys don't generally want to miss their dinner. Pa said that he was going to hitch up the buckboard and head down to the neighbors farm, a mile or so down the road to see if the neighbors boy had seen Tom and John. If he hadn't, he assured his wife, he would ask for their help to go hunting for the boys. Ma said she would stay at home to make sure somebody was there in case they showed up. Pa hitched up the team of horses and left. Although he'd had a long day and nothing to eat, there was no time to waste. He knew the boys could be in real danger. When he pulled the wagon into the driveway of the neighboring farm and hollered for Tom and John, he learned that nobody there had seen the boys either. The neighbor said that he and his three older boys would saddle up and help look for Tom and John, and that he'd send his brother on over to the town's Grange Hall, to round up some more volunteers. Pa and his neighbors knew only too well that it was getting towards the time of night when wolves began to howl, and bobcats and bears began to scrounge for their dinner, and nobody wanted the boys to end up as dessert. They decided that the search party would quickly assemble at Pa's farm and that they'd fan out from there. A short time later several townsfolk gathered in Pa's yard. They had brought kerosene lanterns and lit wooden torches to help guide them through the dark and foggy night. Several had brought along their hunting dogs to help track the boys, and Ma gave the dogs a sniff of the quilt from the boy's bed to help them sort out the scents on the trail. The men took the wagons to the river and began to look along the banks where they thought the boys might have been fishing. While some stayed to search the river banks, others went off on foot and began to form a broken line to search the path leading toward the road. The group again divided - some going on down the road and the others heading toward the woods. Pa decided to stay with the group going through the woods, across the meadow and leading up to the back side of their vegetable garden. The small group took up their torches and began walking slowly. About 200 yards into the woods, the group stopped dead still. Suddenly off in the distance, they heard a voice calling "Who-o-o! Who-o-o-o!" followed by a faint "Tom and John, Pa's boys". There it was again. "Who-o-o-o! Who-o-o-o!" followed by "Tom and John, Pa's boys". Slowly, and with grim determination, the search party moved silently through the woods, straining to hear and follow the sound of the voices in the distance. Meanwhile, Old Man Hatcher's dogs had stopped howling, and the boys, from their vantage point in the tree, could hear something, or maybe a pack of wild somethings!, crashing through the underbrush. Something, something...was moving silently through the woods, coming in their direction. Maybe it was Old Man Hatcher's mean dogs, they thought, - or maybe a family of bobcats, or maybe a bear...or... maybe something even scarier! That same strange voice kept calling through the darkness. The youngsters started yelling louder and louder, "Tom and John, Pa's boys" hoping to frighten off whatever was making that rustling noise. Every time they heard "Who-o-o-o?! Who-o-o-o???!" they responded louder and clearer, "Tom and John, Pa's boys". The boys heard the rustling getting louder, and through the fog they saw flashes of an eerie, firey orange glow that seemed to bob and weave and glow in several places at the same time. The boys clung to the tree and shook. The woods could be full of fire breathing monsters for all they knew. Tom and John, Pa's boys!! and just at that moment, the lead men in the search party burst through the underbrush, into a clearing no more than a stone's throw from the tree Tom and John were hanging onto for all they were worth. It's Pa! Pa ! Here we are! We're up here!, the boys shouted. Pa was so excited that he began to run toward the big tree. It was a sight for sore eyes - both boys clinging to the big branch in the middle of the tree. When the youngsters saw their Pa standing beneath the tree with his hands held up towards them, they were so happy they just turned loose of that tree and one after the other, they leaped right into his waiting arms. We got 'em!, one of the men called out, and as the rest of the group caught up, a tremendous cheer rang out. The searchers were relieved to find that the boys were none the worse for wear - - just tired and very hungry. Pa and one of the other men wrapped the boys in their warm coats, and once they reached the road they loaded the cold and weary youngsters into a wagon. Others in the search party hurried to the river bank and on up the road to spread the good news about the boys. Ma heard the commotion and hurried out onto the porch as the wagon pulled in and Pa jumped out. He carefully lifted the boys down. With tears streaming down her cheeks, Ma ran toward Pa and the boys, caught the three of them in her arms and hugged them tight. They might get scolded later for not coming straight home, but right now the only thing that was important to Ma was that her boys were alive, -- cold, tired and hungry - - but alive and safe. Ma sent the boys to wash up while she fixed them some warm milk and she set to work heating up some of the hearty beef stew, fresh baked biscuits and apple dumplings she had planned to serve for dinner, hours and hours earlier. Pa thanked and shook the hand of each and every one of the friends and neighbors who'd dropped everything to help search for his boys. The boys and their Ma added their thanks too. Once the last wagon pulled out of their yard, Pa put his own team away, and came inside to wash up. The little family sat down at the kitchen table, joined hands, and gave thanks before sharing their midnight supper. After he and Ma had put the boys to bed, and said their prayers, again thanking the Good Lord for returning their youngsters to them safe and sound, Pa quietly related to Ma how it was that they had been able to find the boys. and how the boys kept answering him. As Pa lay there in the dark however, he knew in his heart that whatever it was that had prompted his boys to answer that old owl every time he hooted Whoooo?, had almost certainly saved their lives, because those voices, calling out in the night, were the only thing that could have led the rescue party right to them. "Tom and John, Pa's boys". About the Author: Louise Smith lives in Southern Illinois with her husband, James, two dogs and an eclectic collection of teddy bears. A new author, Louise tells us she enjoys "old-timey" stories, and her hobby is piece quilting by hand. Louise considers her grandchildren to be the real treasures of life, crediting them as the never-ending inspiration for her creativity. Louise holds an administrative position with a State affiliated committee. HOW DID TOM AND JOHN TELL TIME WITHOUT A WATCH? HOW DID TOM AND JOHN GET MILK BEFORE WE HAD GROCERY STORES? TOM AND JOHN'S NEIGHBOR WENT TO THE LOCAL GRANGE HALL TO ASK FOR VOLUNTEERS TO HELP SEARCH FOR THE LOST BOYS. WHAT'S A GRANGE HALL? - A Grange is actually another name for a farm. A Hall is a place or a building where people meet. Since 1867 though, the term Grange has also been used to define an agricultural and farming related organization, a club, or fraternity, comprised of people with similar interests. A Grange Hall is a place where people meet to talk about their mutual interests in farming, agriculture, education, legislation, and other things that help hold a small, rural, or farming community together. Interestingly, unlike many organizations which historically accepted only men as members, women have long been welcomed in this organization. Here's the interesting History of the Grange in America. INTERESTED IN LEARNING ABOUT BEARS? Bears are interesting creatures. Did you know there are only eight species of bear in the whole world! Did you know that scientists once thought that giant Panda Bears were more like raccoons than bears. Really! Want to learn more? We've got just the place for you! BearBiology has a terrific website with lots of information and pictures. Remember: If you go out in the woods today..... More than teddy bears are out there. Learn What Not To Do Around Real Bears! THE SEARCH DOGS SNIFFED TOM & JOHN's QUILT. LOUISE HAS A QUILTING HOBBY? WHAT'S A QUILT? Quilts are something people use instead of blankets to keep warm. Quilts start out with two big pieces of material, about the size of two sheets, and the sides are sewn together (sort of like a big pillowcase, but with all four sides sewn shut) Inside, however, the cloth would first have been stuffed with either feathers, or down (which is very soft feathers), or perhaps layers of cotten or wool, also called batting. The idea was to fill the inside of the quilt with insulation, (multiple layers of stuffing) which was the best way to help keep you safe from the weather when you crawled into bed on a cold winter's night. To keep the feathers or other stuffing from all sliding to one end, the maker of the quilt would sew a lot of lines across the length and width of stuffed material, (what's known as quilting it) and that would help keep feathers in place. Because many people didn't have a lot of money to spare back when Tom and John were children (and even long before that! ), sometimes the quilts were made up of left-over pieces and patches of dress material or the like. The patches could be sewn together to make the big outer sides of the quilt. (you've heard the the term "patchwork-quilt, haven't you?"). The patterns, the designs, the way the patches on the quilts were sewn together, and often further enhanced by delicate embroidery (making flowers or designs or pictures out of thread), turned quilts into beautiful bed decorations and lap robes. 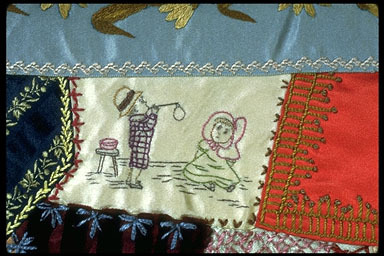 Quilts were frequently used as gifts, and often especially created to memorialize special occasions. 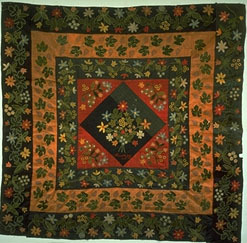 Quilting remains a popular art-form, and many antique (very old) quilts represent fascinating bits of art and history. There are also Native American and African American quilts, as well as story quilts that help us learn more about the past. 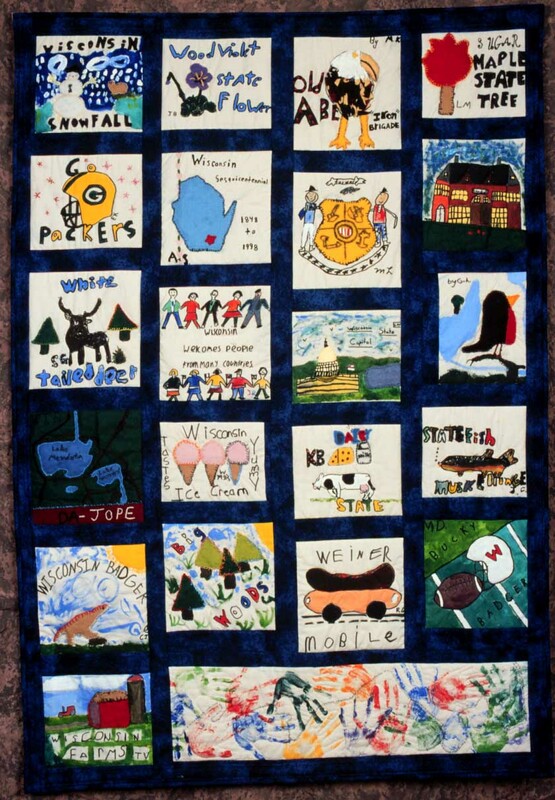 A class of third graders in Wisconsin made their own story quilt to celebrate the state's 150th birthday.